ANONYMOUS - GREECE, HELLAS: Did British soldiers plunder Amphipolis Tomb in 1916? Did British soldiers plunder Amphipolis Tomb in 1916? 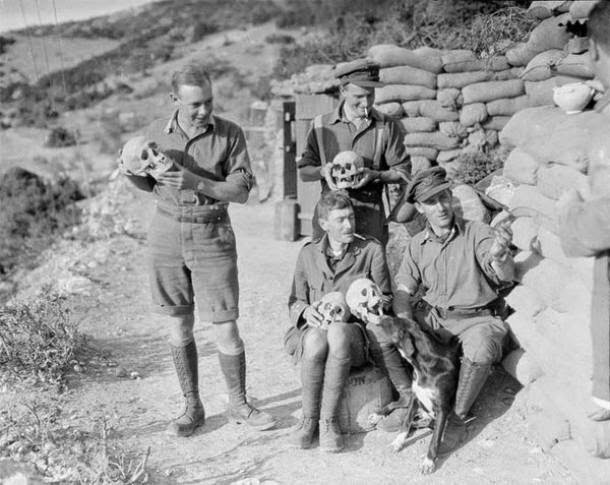 A photograph has emerged depicting soldiers from a regiment of the British Army, proudly holding skulls found around the Amphipolis Tomb in Greece, raising questions about.... whether they may have plundered the tomb nearly a century ago. The King's Shropshire Light Infantry (KSLI), a regiment of the British Army formed in 1881, was posted to Thessalonika in Greece in 1915 at the request of the Greek Prime Minister and spent nearly three years fighting the Bulgarians in Macedonia. For the most part, they were based on the Struma front between Lake Doiran and Amphipolis, where they constructed trenches and dugouts and fought numerous skirmishes. However, it seems the battalion did more than just fighting, as photographs have emerged showing evidence of the soldiers entering the famous tomb at Amphipolis, as well as proudly showing off human remains found at the site. "During the Balkan War in 1913, Greek soldiers found the foundations of the pedestal of the monument while digging trenches. The foundations were examined by George Ikonomos and Anastasios Orlandos who subsequently became professors of archaeology. Later, in 1916, during World War I, British soldiers discovered the first parts of the marble lion. Their attempt to transport the pieces onboard a ship were thwarted by an enemy bombing." 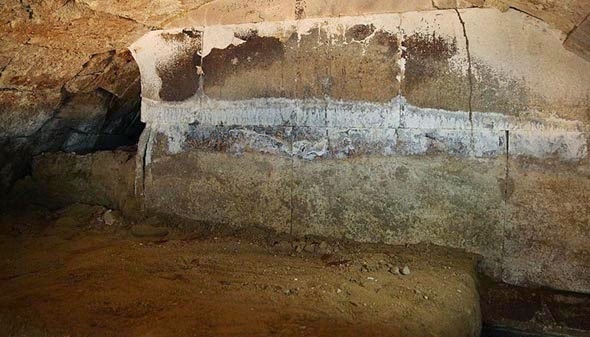 When archaeologists entered the second chamber of the Amphipolis tomb last month, they found that the marble wall sealing off the third chamber had already been smashed open in one corner, leading researchers to believe that the tomb may have been looted in antiquity. However, the plundering may not have occurred in the ancient past, but by the British soldiers in WWI. A little digging around on the website of the British Museum has revealed a little more to the story. The biography page for Dr Eric Gardner (1877 – 1951), a British medic and amateur archaeologist, who was posted to Greece during WWI, reveals that he took treasures found at Amphipolis and ‘donated’ them to the British Museum. The British Museum writes: “He was based around Amphipolis on the Struma front, where an Archaic-Hellenistic Greek cemetery was uncovered. Donated contents of an Amphipolis grave to the Museum in 1918.” So was this ‘Amphipolis grave’ the great tomb that is currently being excavated by archaeologists? 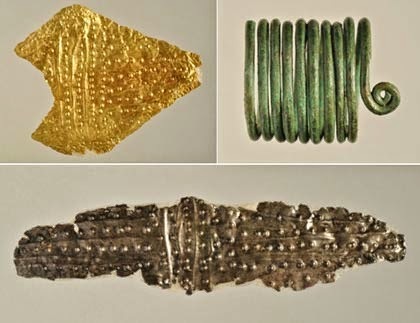 Within the grave, Dr Gardner found a hoard of treasures including gold, silver, and bronze jewellery, finely crafted pottery, a metal hair pin, an iron knife, and a spearhead. It is not known how much he kept for himself, but nine of these items now sit inside the British Museum in London. 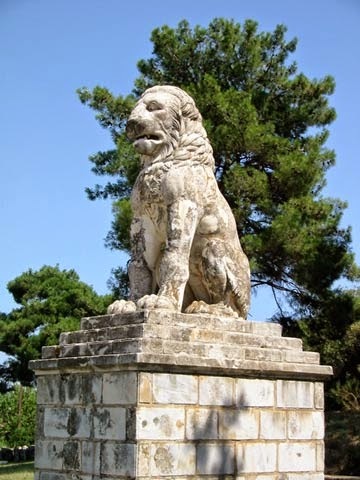 It is curious to say the least, that in the midst of the media frenzy regarding the current excavation of the enormous tomb at Amphipolis, the British Museum has remained deafly silent on the issue. Perhaps they are afraid of another ‘Elgin Marbles’ scenario in which the world petitions them to return stolen goods to their origin.